Our biodegradable Cellophane Bags are made from true cellophane offering good clarity and feel. Polypropylene Bags and Cellophane Bags are not the same. Cellophane is manufactured using paper pulp not plastic resin making them an earth-friendly alternative to plastic. Perfect for candies, chocolates, potpourri, candles, spices and baked goods. Use as Gift Bags or Christmas Gift Bags. Use a Cellophane Heat Sealer, to seal your cellophane gift bags or make food packaging bags for your cookies, baked goods, nuts, candy, or any food product. 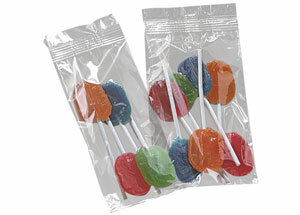 Cellophane bags do not shrink, but are heat sealable and are FDA and USDA approved for food use. All cellophane clear bags are food safe.